EXCLUSIVE AT NET-A-PORTER.COM. The festive season is a time to be putting your best foot forward, which is why we asked Malone Souliers to design a party capsule just for us. 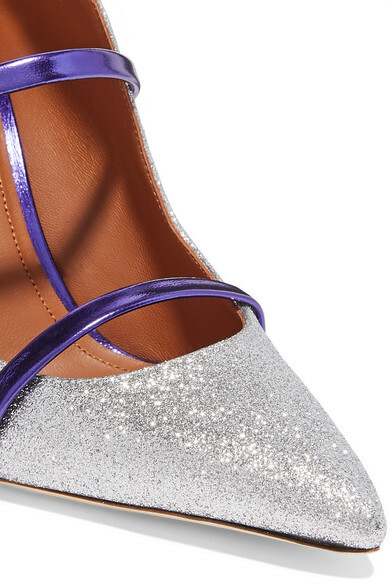 An update on the signature 'Maureen' mules, this point-toe style is crafted from glittered leather with a metallic purple heel and straps. Make them the focal point of your outfit with a black mini dress. Shown here with: Self-Portrait Dress, Hillier Bartley Clutch, Isabel Marant Earrings.